Every municipality in Pennsylvania with on-lot sewage disposal systems must have a sewage enforcement officer (SEO). Ours is Keith Hunnings, a licensed PA sewage enforcement officer. Keith can be reached at 717-942-2248. As a sewage enforcement officer, Keith performs inspections of existing septic systems for real-estate transfers, which are required by the township’s ordinance. 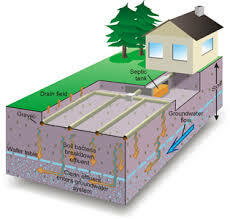 He also evaluates sites for new sewage drain fields by performing soil pit evaluation and percolation test. For new parcels of land being created in areas where no municipal sewage exists, he determines if the site is large enough and has suitable soil for an on-lot septic disposal system. Reserve or back-up areas are now required and have to remain undisturbed so that they can pr ovide an alternate site should the primary site fail.